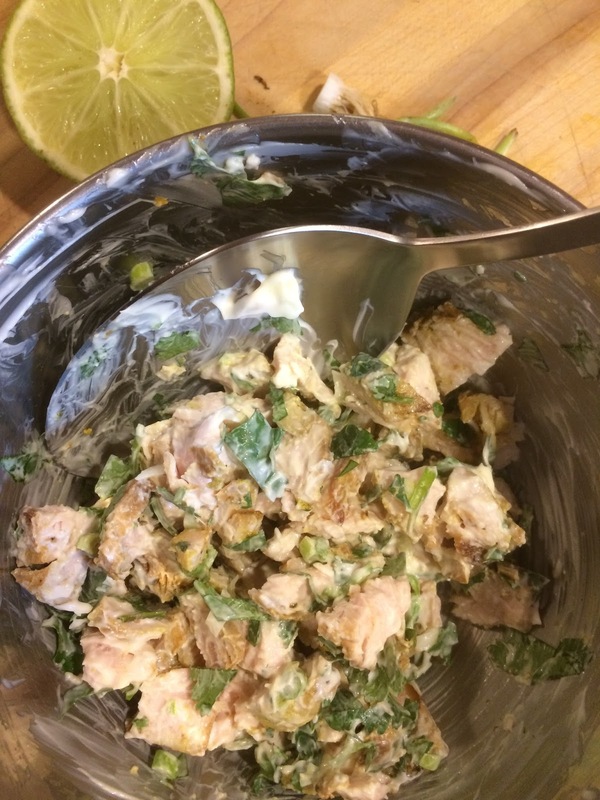 Have you ever tenderized chicken or turkey with yogurt? Why not take it one step further and infuse some flavor while you’re at it. This is just one of the great tips I picked up at a the cooking class we took on or Baked Beads' staff outing. Combine some minced ginger, jalapeno, shallot and your favorite curry paste or powder with a cup of plain yogurt. Cut some boneless turkey or chicken breasts into two inch wide pieces, place them in a flat glass dish, coat with the yogurt mixture, then saran tight and refrigerate for a few hours or overnight if you have the time. To cook transfer the meat into another pan and bake at 350 for twenty minutes or until they’re cooked through. They’re great on their own, with a bit of chutney, or chilled and diced up with some scallions, cilantro, mayonnaise, and a squeeze of lime.